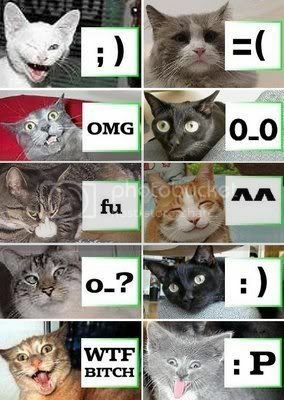 Have you ever noticed that domesticated cats -among any other creatures- have almost the same emotion with us, humans? Based on a study, wild cats in the jungle, only have few emotions, such as angry and fear. However, domesticated cats, cats that used to live in a loving homes with humans, have more variant emotions. They experience a range of emotions just like we do. I believe, that is because cats are a very keen and good observer, not to mention they are the master of copy cat. Cats love to examine our feelings, and play with it. HaHaHaHaHa - you nailed it!